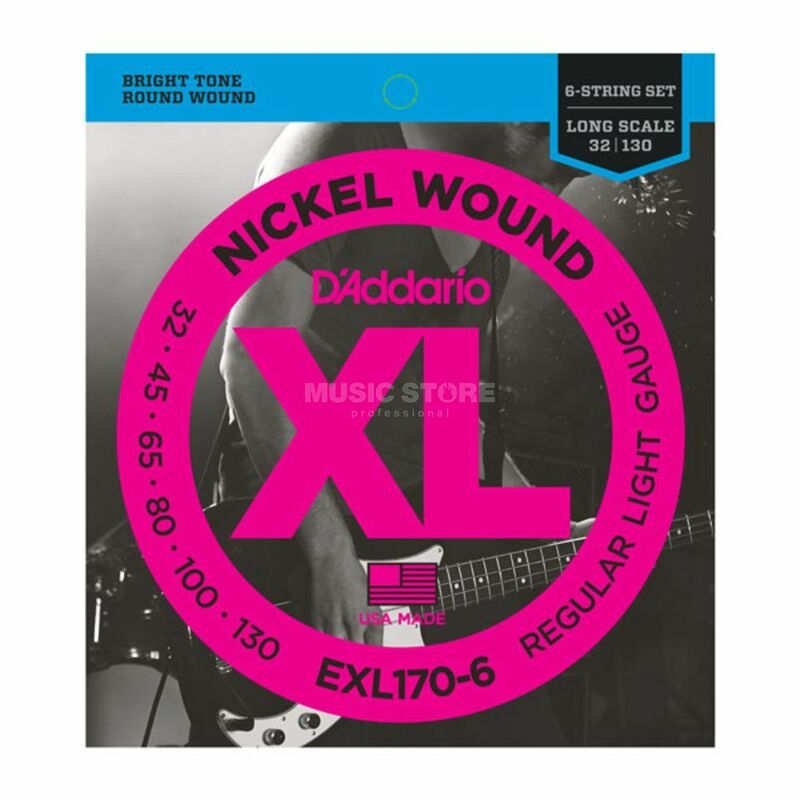 The D'Addario EXL170-6 Long Scale Light Bass 6-Strings 32-130 is a pack of strings for a six-string bass guitar. The EXL170-6 set offers an ideal combination of distinctive brightness and booming, tight lows with an additional .130 low B string and .032 high C string. The distinctive bright tone of XL nickel wound strings combines with greater dynamic control and a more consistent feel between strings. This production offers evenly balanced bending, strumming, fretting, picking, and plucking. XL Nickel Wound strings are precision wound with nickel-plated steel onto a carefully drawn, hexagonally shaped, high carbon steel core. I bought this product for my band's bass guitar player. He is satisfied with the quality of the strings considering their price. He wanted a good, new strings sound for our studio recording session and these strings didn't disappoint. Thanks music store!